Nurturing believers, equipping scholars and connecting families in an ever changing world. Please check our school calendar for school events this month. Parents are encouraged to join our Parents Club or the Fathers Club. Meet and greet each other for Mom’s or Dad’s Night Out events each month. Parents get together to help provide fun family friendly events. 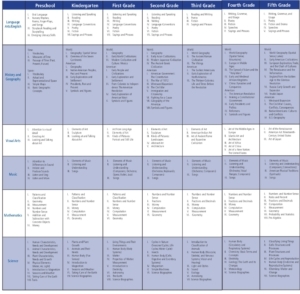 St. Paul’s curriculum, through the use of the Core Knowledge sequence, exceeds the requirement established by the State of California; it is organized by subject area and includes sequential experiences. Recognizes Jesus as the Son of God. Develops and maintains beliefs and behaviors rooted in the Bible. Demonstrates and practices the values associated with our Core Virtues to become an active and effective member of our church, community and world. Feels a strong sense of Christian community and is committed to serving others. Uses critical thinking strategies to become a creative problem solver. Communicates effectively in verbal, written and artistic forms. Develops a rich vocabulary through exposure to a broad range of literature. Applies learned knowledge to real-world situations. Demonstrates digital citizenship in their use of technology to gain knowledge and design examples of higher level understanding in their learning. Sets goals utilizing a growth mindset. Works cooperatively assuming responsibility for the group. Exhibits respect for self, others and the environment. Demonstrates skills to resolve conflicts peacefully. Core Virtue Curriculum is a literature base moral development program in grades K-6. The program goal is the cultivation of character through the promotion of basic moral, civic and intellectual virtues. We employ a three year rotation of virtues in order to add variety and to stress the breadth of moral vision that we want all children to make their own. To arrange a visit to our school, please call our school office at (209) 383-3302, or complete the form below. During your tour you will view our campus, meet our teachers, and see our curriculum in action! A brief message to let us know why you are interested. To apply for aid for the 2019-2020 academic year, you will need to complete a TADS Financial Aid Application. You may choose to first complete a TADS Financial Aid Worksheet, which is intended to prepare you to fill out the TADS Application. This worksheet will not be accepted by TADS as an application. 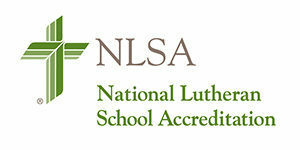 St. Paul Lutheran School is accredited by the Western Association of Schools and Colleges (WASC) and by National Lutheran School Accreditation (NLSA). We choose to become accredited for a number of reasons. First, accreditation assures our school community that St. Paul’s purposes are appropriate and being accomplished through a viable educational program; it’s one way we validate the integrity of a St. Paul Lutheran education. During this process, St. Paul Lutheran is visited by a team of fellow educators, both public and private, to corroborate our work and give us insights and perspectives. This has been valuable over the years. Finally, graduating from an accredited school ensures families and students that our course of study has been approved for entrance into both public and private schools.